How to Make Affiliate Links | Yenom Marketing Inc.
Making affiliate links is very easy. First, you want to go to the site and register for a free affiliate (or associate) ID. On ClickBank, they call it a nickname. On Amazon, it’s an associate ID, and on PayDotCom, it’s your affiliate member username. On ClickBank.com, you’ll go to the marketplace, which is the link at the top of the page. Enter your keyword(s) and find the product you wish to promote. You can view pitch page to review the sales letter, but click Create Hoplink when you’re ready to get your link. The first one is your direct link, and instead of nickname and publisher, you’ll see your personal nickname and the publisher’s ID. The second one is ready for insertion into a web page. This makes the words, Click Here hyperlinked to the site via your own personal affiliate link. Search the marketplace to find a product you wish to promote. When you find a product you’d like to promote as an affiliate, click the Promote link. Here, you’ll see your raw affiliate link that you can use – as well as any other tools the product owner provides, such as banner ads, email announcements, etc. In Amazon, you’ll log into your associate membership and then on the left sidebar, click Build Links. You can choose which types of links you wish to build, such as a text link. Here, you’ll enter the full URL of the product or search results page you want to promote and enter the words you want to be hyperlinked. You’ll be able to quickly cut and paste the HTML code into your website or blog. 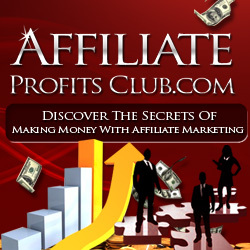 Each affiliate program has a similar system in place to help you create viable links. Basically, for each one, you’ll log in, enter your username, and generate a link to copy and use online. It’s easy, but if you get stuck somewhere, email the product owner and ask for assistance.